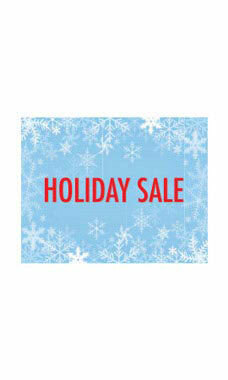 Small Holiday Sale Sign Cards with Snowflakes are sure to put your customers in the shopping spirit! Featuring bold red lettering on both sides of the sign card with a blue background and snowflake accents these charming signs are sure to increase sales in your retail store! Sold in packs of 25 signs.